Watching his mother cooking in the kitchen becomes a playtime adventure for little Neeraj when he is given a piece of chapati (a traditional Indian flat bread) dough to play with in this delightful picture book. ‘What shall I make?’ he asks himself and then sets to work, rolling the dough and becoming increasingly ambitious in what he makes – a snake, a mouse, a cat and then… ‘It’s growing… and GROWING!’ into a lion! With his mother’s encouragement (‘Quick, quick! […] You know what to do.’), Neeraj rolls the dough into a ball and then flat with a rolling pin, until it’s a ‘big round chapatti’ ready to be cooked and, of course, eaten. We follow Neeraj through each step of making his dough animal and then turn the page to find the real animal of his imagination. Proiti Roy’s strongly delineated illustrations home in on Neeraj’s hands and his delightfully expressive face. There is no background to the illustrations which emphasises the uncluttered nature of the narrative – uncluttered but not sparse. There is a real warmth that shines through this glimpse into a special moment shared in the kitchen by mother and son. 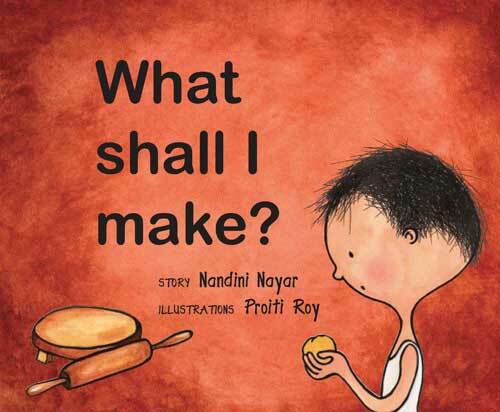 The inside cover shows Neeraj looking questioningly at his piece of dough; at the end we see him breathing in the fragrance of his steaming chapatti. Just before that, a detailed recipe is provided, in words aimed at the book’s young audience, so that children can have a go at making chapatti themselves – and no doubt make some interesting shapes and animals of their own along the way. What Shall I Make has a strong cultural context but it depicts the kind of activity shared within families all over the world. It is an appealing picture book that is sure to be a hit with young children. 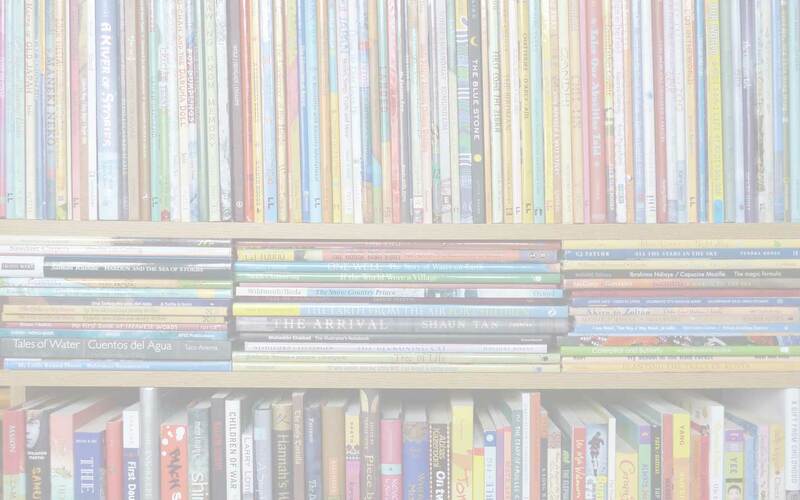 This review first appeared here on the PaperTigers.org website in June 2010.
children's books from India, children's books set in India, Frances Lincoln, MWD book reviews, Nandini Nayar, Proiti Roy, What Shall I Make?. Bookmark. One of my favourite books from Tulika Publishers. I remember the excitement in reading this with my 3-year old a few years ago. We wondered what Neeraj would make next before turning each page. The story, with its adorable illustrations, gives a well-captured account of a common setting in many Indian households, It still happens in our household, but now my son uses the rolling pin to roll out his own chapatis!